The Yosef and Farang Shahery Lobby was inaugurated at a festive ceremony at TAU’s new Check Point Building, a state-of-the-art research and study facility serving TAU computer scientists and the young science explorers of Youth University. In the very first inauguration to take place at the building, Shahery siblings Frank, Vida, Shaw and Shahruz, together with their children and extended family members, gathered to honor their parents, Yosef and Farang Shahery of Great Neck, New York. 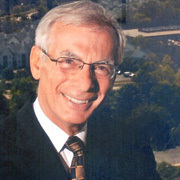 TAU President Joseph Klafter thanked the Shahery family for being trailblazers with their generous gift, which “provides a spacious and elegant facility to welcome students and researchers of computer science as they meet, socialize and study together. 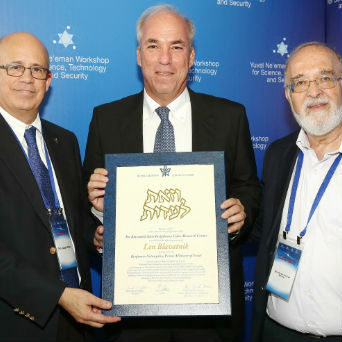 “It honors Yosef and Farang Shahery as committed Zionists, friends of Israel and believers in the country’s renowned higher education sphere; and it enables the establishment of a perpetual fellowship fund to provide much-needed financial assistance to talented Israeli graduate students as they strive for academic excellence,” said Prof. Klafter. “These Shahery Family Scholars are Israel’s future leaders, innovators and educators. They will pave the way toward new and exciting breakthroughs that will enhance Israel’s economic progress and national security in the years to come,” he said. Prof. Klafter expressed his regret that Yosef and Farang could not be present at the ceremony, noting that the Shahery lobby will serve as a source of pride for their children and grandchildren. Robert Kahen, President of IAJF – Iranian American Jewish Federation of NY, spoke of Yosef Shahery’s longtime support for the IAJF. He noted that the Federation had honored Yosef in 2015 with a lifetime achievement award recognizing all he has done and continues to do for the community. Originally from Tehran, Yosef Shahery is a compassionate humanitarian who provided comprehensive support to Jews who fled the Islamic Revolution in 1979 and sought refuge in the United States. He provided generous financial aid, personal advice and guidance and even a Farsi-language newspaper. In the 1980s, together with Farang, he co-founded the Iranian Jewish Foundation of New York and the Maccabee Foundation and has supported important projects in Israel and New York. All four of Yosef and Farang’s children are involved in charitable causes. “Our father inspired us to follow in his footsteps and naturally we try to pass this on to our own children,” said Shaw. Prof. Amir Globerson of the Blavatnik School of Computer Science, which will be housed in the Check Point Building, spoke on the future of machine learning. 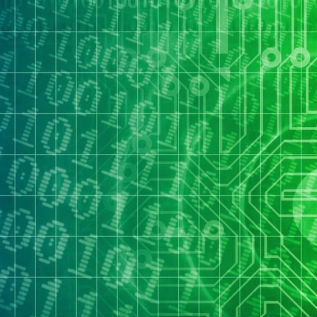 “The goal of Artificial Intelligence is to build machines that think like people, see the world as we do, understand text like we do, and move like we do,” said Globerson. The ceremony was moderated by TAU Vice President for Resource Development Amos Elad and attended by Chairman of the IAJF, Shaharam Yaghoubzadeh; TAU Vice President Raanan Rein; TAU Director General Gadi Frank; friends of the Shahery family from the US and Israel; and members of the Blavatnik School of Computer Science. Following the ceremony there was a Mezuzah blessing and plaque unveiling in the Shahery Lobby of the Building.